Western New England University is also featured in our ranking of the Top 15 Online Master’s in Forensic Accounting. At Churchill Hall, the College of Business led by Dr. Paul Costanzo offers a 120-credit Bachelor of Science in Accounting for Western New England University undergrads to meet firms like Pratt & Whitney, pledge Beta Alpha Psi, take the London Semester, and earn SAP certification. Chaired by Dr. William Bosworth, the Bachelor of Science in Finance applies its 120-credit, AACSB-accredited curriculum in the Frances & Norman Cohen Trading Room with real $100,000 portfolio experience and Financial Management Association membership. Via Kodiak, the Online Bachelor of Business Administration directed by Dr. Melissa Knott provides a 60-credit, part-time transfer sequence of accelerated, 11-week courses, such as Data Analysis. Headed by Dr. John Coulter, a 2006 Gold Medal CPA Award recipient, the Master of Science in Accounting plots a 30-credit, 15-month online track on Kodiak toward 57.5 percent first-time certification exam success with available Hartford Group internships and VITA Clinic practice. The program is offered with an optional 9-credit Forensic Accounting/Fraud Investigation concentration. Ranked in the U.S. News & World Report’s top 284, the Master of Business Administration builds a 36-credit, 18-month hybrid curriculum under Dr. Janelle Goodnight with four specializations, including Accounting, and six face-to-face Springfield sessions. The Dual MBA/Master of Science in Engineering Management advised by Dr. Christian Salmon also uniquely compiles a 48-credit, ABET-accredited plan of 11-week online classes like Decision Support Models. 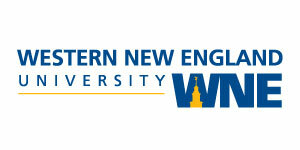 Western New England University opened in 1919 as Springfield-Northeastern College for an inaugural class of 13 Bachelor of Commercial Science majors. In 1931, the School of Commerce and Finance was renamed the School of Business. Accredited in 1940, the Springfield Division received an autonomous charter to award the first BBA degree. That Fall, the Western New England College name was chosen by President John Churchill. In 1956, the Board of Governors established the MBA for advanced leadership. In 1959, Emerson Hall became the first building at its current 34-acre Massachusetts campus on the Westfield River. By 1962, President Beaumont Herman had stopped classes at the original YMCA. Four decades later, WNE started a “Digital Revolution” initiative for online study. In 2005, Western New England University also launched its well-known Polling Institute. Endowed for $73.1 million, WNE now employs 365 faculty teaching 3,792 Golden Bears from 36 states with an average class size of 18 online and on-site with 70+ clubs like the Accounting Association. In 2016, Western New England University won multiple Educational Advertising Awards from Higher Education Marketing Report. College Factual ranked WNE 234th for business degrees with the 302nd top value. On Niche, WNE is America’s 368th best Common App school, 460th top party college, and 684th most diverse campus. The Economist’s College Scorecard placed WNE among the top 20 percent with a median $56,500 starting salary. The “College of Distinction” landed 11th nationally on OnlineSchoolCenter.com. Western New England University is also the Northeast’s 320th best buck in Washington Monthly. On April 20, 2017, the New England Commission on Higher Education (MSCHE) voted to accept the Interim Report sent by Western New England University and schedule a 2022 comprehensive evaluation visit under its Vice President for Academic Affairs, Dr. Linda E. Jones, who earned the Joseph Kruson Trust Fund Award for Excellence in Teaching. Located 97 miles east via Route 190 in Massachusetts’ Middlesex County, this superb six-state New England Region accreditor is recognized by the Council on Higher Education Accreditation (CHEA) to continually review WNE’s six colleges. Particularly, the College of Business was reaffirmed by the Association to Advance Collegiate Schools of Business (AACSB) on January 23, 2014. The Dual MBA/MS in Engineering Management was approved by the Accreditation Board for Engineering and Technology (ABET) on October 1, 2015. Admission to the U.S. News & World Report’s 68th best Northern school is labeled “selective” because only 81 percent of the 6,645 Fall 2017 applicants were selected. First-year Western New England University Golden Bears entering the BS in Accounting or Finance must obtain a high school diploma or GED. The College of Business considers four English units, three Math units, one Science unit, and one History unit prerequisite. On average, freshmen present a 3.40 GPA, 1075 SAT, and 24 ACT mark. Test scores are optional for transfers with 12+ college credits graded “C” or higher. The Online BBA only admits associate graduates with a maximum of 90 credits and minimum 2.0 GPAs. Master of Science in Accounting cohorts need a relevant bachelor’s major. Eight foundational courses, such as Financial Reporting and Concepts of Tax Structure, must be fulfilled at 2.75 GPAs or better. The Online MBA accepts a median 523 GMAT score. Over two-thirds of MBAs have prior business work experience. Dual MBA/MS in Engineering Management students must have four-year STEM degrees instead. Western New England University has final traditional undergrad deadlines of August 15th for Fall, January 15th for Spring, and May 15th for Summer. Online College of Business programs have rolling admission for every condensed 11-week term though. Accordingly, complete the WNE or Common Application for $40 ($30 if graduate) online. Forward sealed official transcripts to Kevin S. Delbridge Center at 1215 Wilbraham Road in Springfield, MA 01119. Electronic testing reports require ACT code 1930, SAT/GRE code 3962, or GMAT code 4ZX-WX-01. Supplemental materials include the GMAT waiver, two references, 500-word essay response, résumé or curriculum vitae, prerequisite evaluation, and accounting/finance certifications. Ask further questions at (800) 325-1122 ext. 1321 or learn@wne.edu. For 2018-19, Western New England University billed full-time BS in Accounting or Finance majors $17,169 per term or $34,338 annually. Undergrads paid the $300 activities fee and $2,166 comprehensive services fee each year. Unless waived, health insurance premiums were $3,120 yearly. Residing at the Springfield campus’ dorms like Franklin or LaRiviere Hall added $13,590 to $15,326 for room and board. WNE budgeted $1,305 for books and $2,060 for miscellaneous. Annual bachelor’s attendance equaled $53,759 on-site and $41,639 at home. Online BBA students spend $647 per credit or $38,820 total. The Master of Science in Accounting is priced $849 per credit for $25,470. MBA in Accounting attendance cost $849 per credit or $30,564 combined. Dual MS in Engineering Management courses are $3,402 each. The National Center for Education Statistics reports that the Financial Aid Office in Joseph J. Deliso Sr. Hall disburses $13.54 million yearly for 99 percent of new WNE Golden Bears to earn $19,211 on average. Business funds include the Edward & Robert Anastasi Scholarship, Asadorian Family Scholarship, Aspen Square Management Scholarship, Bachmann Family Scholarship, Henry Bazan Scholarship, Henry Blake Memorial Scholarship, Janet Johnson Bullard Scholarship, Sandra & Robert Carnevale Scholarship, Leon Chapin Scholarship, Chicopee Savings Bank Scholarship, and Bruce Corl Memorial Scholarship. The Business Impact Scholarship gifts $2,000 to BS in Accounting or Finance majors from 11 surrounding counties. The $3,000 Leadership Grant has a February 11th deadline for full-time freshmen devoted to service. Since 2006, the Massachusetts Society of CPAs has awarded $2,500 scholarships to accounting majors with 45+ credits. Federal aid forms coded 002226 determine Pell Grant, SEOG Grant, Work-Study Program, and Direct Loan eligibility. State assistance like the MASS Grant, Christian Herter Scholarship, and Horatio Alger Scholarship also helps. Continue reading about Western New England University at the Department of Accounting & Finance website.